SKIP THE LINE. COMPLIMENTARY DRINK. GUARANTEED ENTRY. The Palace has the right to refuse entry. Strictly no ID, no entry. No minors allowed. 18 and above only. 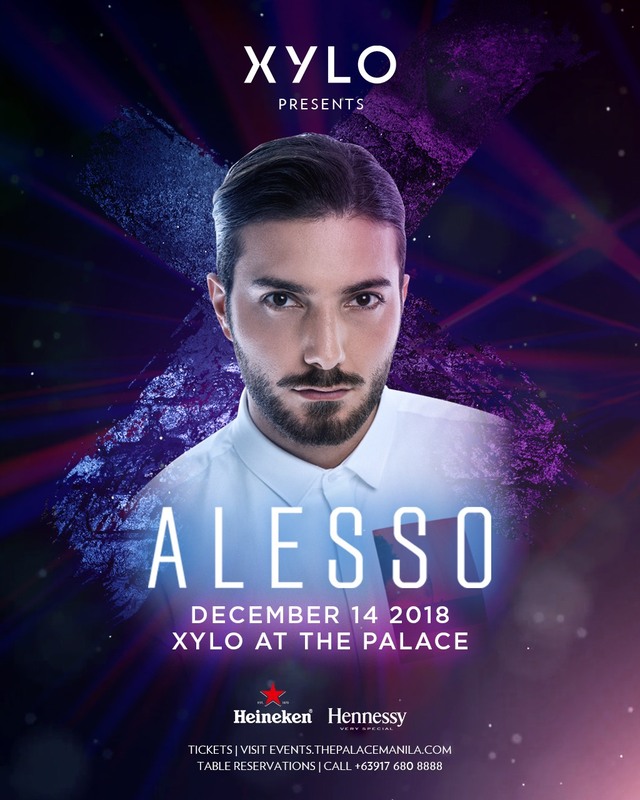 This December 14, Swedish DJ and producer ALESSO will rock the decks at XYLO Nightclub! #45 on DJ Mag's Top 100 list, this top notch artist will definitely make it a night to remember! For inquiries and reservations, contact + 63917 680 8888. Strictly 18 years old and above only. A Valid ID is required for entry. This ticket admits entry to the bearer only. No minors allowed. 18 and above only. STRICTLY NO ID, NO ENTRY. Access is subject to venue capacity. The Palace has the right to refuse entry for any reason deemed by management. This ticket is non-refundable. If the event is cancelled, this ticket will be accepted for the rescheduled date. All events at The Palace Pool Club are rain or shine events.